THE RESIDENT IS A CRIMINAL, A MARXIST, AND HATES AMERICA AND ALL IT STANDS FOR. HE WARNED US HE WANTED TO FUNDAMENTALLY TRANSFORM THE COUNTRY, BUT HIS SYCOPHANTIC OBOT FOLLOWERS ILLEGALLY PUSHED HIM INTO OFFICE. you really don’t like the guy I presume. conspiracy’s are one of America’s favourite hobby’s since 9/11. Just so you know, Placing these quotes out of their context doesn’t proof a thing. He might have said a thousand contrasting things. The only you are proving is that you have a great will to slander someone and a lot of free time. Americans should learn more how to think before they act. And I don’t mean to be offensive in any kind of way, It’s just my opinion. You aren’t very bright. Did your mother have any children that lived? Your comment makes it clear you didn’t pay attention because you didn’t see the website name and author name at the top of the article and it’s obvious you didn’t read the entire post because if you had you would have seen the link to the original article and website at the bottom. Do the world a favor – don’t post comments. What does this tell you about his understand of the two. I would have to say he lacks a definite understanding of “Orthodox” Christianity. Even though he spent all of those years in a “Christian” church. He reflects the teaching of his church and how flawed it is. I especially draw attention to point #8 on the Christian side. He doesn’t understand the purpose of the church, or the promise of salvation. And he talked his way into the White House !! guys you need help from pest control !! “he has consistently said that he believes that all “people of faith” believe in the same God” – this is actually true. It is well known to the believers that the controversy surrounds the prophet and that they all believe in the same god. 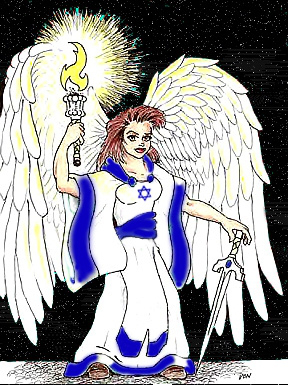 The jews got the Torah and were the chosen nation. All the jews witnessed it and moses only went on the mountain to get the written-torah. The muslim and christian religious are actually base on the jews and the jew’s god by saying god is no longer willing to be with the jews because of thier sins and that he wants another nation instead (jesus by the way was jew himself). Actually Christians and Jews do not worship the same God as Muslims. I’ve read that Allah is a moon god and that Islam was a pagan religion. Absolutely! Look at their flag!They are NOT the same! The only way is through Jesus Christ, the son of the living God- any variation of the true Jesus is not true belief. The gospel spells it out…period. Also- there is amazing insight and information via TheFuelProject.org. There is a lot of information on the origination and true meanings/gods of numerous religions. the comments the president made are obviously one sided. He is NOT of the christian religion as he claimed- if he were… he would know it is not a religion, but a relationship. You very clearly do not have a clue about the Jewish religion or Christianity. Christianity is simply the belief that Jesus Christ was the son of God and He was born of the virgin, Mary, died on the cross to take on the sins of the world, and that our salvation and ticket to Heaven is through accepting Him. That is the difference between the Jewish faith and Christianity. The Torah and the Old Testament of the Bible are the same information. Christianity spawned from Judaism. God didn’t say he is no longer willing to be with the Jews. They are His chosen people through the promise that He made to Abraham. However, He also says He is a vengeful God. He holds us accountable for our actions, and the Jews seem to turn their backs on God when they need Him the most. However, God sent Jesus here for all mankind. Not just one particular nation. But you have to believe and accept Him. In the Jewish faith, they believe the Messiah hasn’t come yet. In Christianity, we believe Jesus Christ of Nazareth is the Messiah. That is the difference. Cherry picking here with lots of comments taken out of context. Much of this site, although it states to have the aim of highlighting EXTREME Moslem injustices, seems to infer that ALL parts of the Moslem Faith is violent and intolerant. WRONG. Religions are just people. The same with Islam, Judaism, and Christianity. The doctrines are laid out and the people who practice it deviate from the messages of the religions. The state of Israel is a good example. Amazing to me is the fact that it has adopted many of the Nazi-like tactics of exclusion and isolation. Like the “Ghetto” of Gaza. The high wall, the taking of Arab land in the West Bank and East Jerusalem. All the time citing the Holocaust when questioned about Israel’s handling of the “Arab Question”. Take the justification of the land “acquisition”. Israel calls it “Natural Growth”. The Nazis called their aggression: “Liebensraum” (living space). The physical isolation and blockage of Gaza and the West Bank is pretty much self-explanatory. Many Jews in Israel do not agree with the practices of the Israeli State, highlighting the differences between Zionism and the Jewish Religion. The problem seems to be the aggression of the Zionist, not the Jews. I believe that Israel and its practices are going to leave it isolated and subject to sanctions, much like Iran. The only thing saving that state is the USA. Its citizens are starting to look closer to Israel’s practices and relations with its Arab neighbors and are not happy. It simply can go on. Back to the quotes by President Obama: Cherry picking propaganda. If people can’t see it, they need mental glasses. Bill Gates es el diablo en la compra de PEMEX. Mexicans and foreigners working for The illuminaties are trying to get the mexican oil company to them. http://lnkd.in/bhDG2CG They already are owners of USA and are trying to move fast to the south. Go away Istlamo Nazis from Mexico. They are using a complex system, the head of the lazies is Bill Gates. But we créate the system, the lazy group copied wrong. Bill Gates asked for Mexican Petroleum Institute personnel to work for him in the MS-DOS, really basic system, seems to be created by him. Everybody respected his copyrights. But today he is stolen copyrights everywhere. According with Bill Gates, PEMEX is a monopoly and this has to change. But also Microsoft is monopoly world wide, and they do not respect the copyright as a matter of fact they are stolen them, it seems that in some cases they are killing the authors, using the illuminati network world wide, Indian Istlamo Nazis are included. Mexico is out of touch geting involved with the american government that it is full inflitrated with Istlamo Nazis at this time. they are killinng christians and catholics all over the world with fast speed. Los modelos macroecnómicos y microeconómicos mexicanos del TLC han sido repetidos en otras partes del mundo dejando millones en la pobresa extrema. Mexican Macroeconomic and microeconomic models of NAFTA have been repeated in other parts of the world leaving millions in extreme poverty. 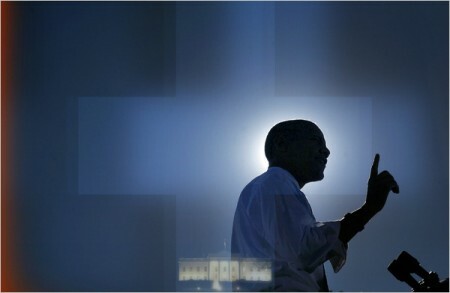 I find it hard to believe Obama is either Christian or Muslim. It seems more likely he simply says whatever gets him politically ahead. Great post that says it all. I agree. Too bad more people aren’t listening/paying attention. Obama as well as many other American presidents have been corrupted whether by choice or by force. Their abilities to lie and cover up the truths with excessive nonsense, propaganda and by flooding our media with falsehoods, keeps the naive people ignorant and has been building to this point. Playing society is their game, do you think Obama would have been elected president if his true beliefs were out in the open, he’s using America to help Islam and allowing Muslims to flock to our country and hide within our home land just waiting for their moment to please their false prophet/god. How can you defend a man who clearly doesn’t care for his nation or the wellbeing of the people, nor does he stand tall in his supposed Christian faith, he just uses it as a shield to continue his rein. This problem is far beyond Obama, he’s just their key resource to obtaining power and weapons that he will try to take from the American people so we can’t defend ourselves. He’s already using our military ignorantly and allowing many unnecessary deaths while destroying our economy and trying to “transform our beliefs” into “his beliefs” we are being used as tools in a tool bag to spread their messages around and for the truths to be lost in our differences. We need to find common ground as believers and realize our religions can’t and will never coexist. Their God says to destroy all Jews and non believers, and our God says to love thy enemy that Christ will come destroy all Satan’s works. How long til the masses see that their beliefs are based off an evil corrupt man who’s been dead for thousands of years and our beliefs are waiting for the return of our savior. Whom will ride in with gods army and wipe out the evil that is Islam. Allowing the meek to inherit the earth not the Muslims and islam. I can say I will stand up with Christ’s army and destroy all that is Satan’s work. These terror attacks should be dealt with swiftly. Quit putting our men and women in danger Obama! Anyone killing innocent people should be instantly put to death in the name of Christ, corrupt politicians and corrupt religious leaders allowing the evil to continue growing being at the top of Christ’s list. Return the churches and governments decisions to Christ, quit taking God out of America and quit listening to the clown that is president whom hides behind closed doors and a false faith when out in the open. The man has no integrity and only cares about transforming the world into Islamic faith, allowing these atrocities to continue is ungodly and it will be the followers of Christ who will finally stand up and say enough is enough. A fiery hell bound death to all supporters of using the innocent for evil, as well as killing them for their religious beliefs. Islam should die not for their beliefs but for their trecherous actions against God, Christ, and mankind. If they continue killing the good of the world what will remain. The good should rise with the Lord while we have the upper hand and wash the grounds with their blood as they try to kill us all, let the true God return the favor and return our world to peace after slaughtering all that stand in the way of the innocent uncorrupted men women and children of the world following Christ. God bless all your children and show us how we can remove Satan from the world for 2000 more years!!! !! !The Way, The Truth, The Light!!! !! !Forever following God and son Jesus Christ!! !